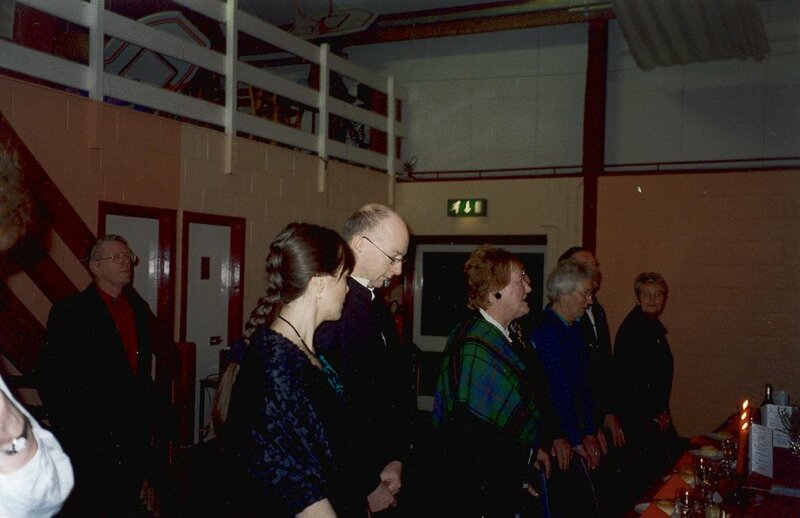 Burns Supper at Spratton Hall School in aid of Friends of St. Andrews Church. 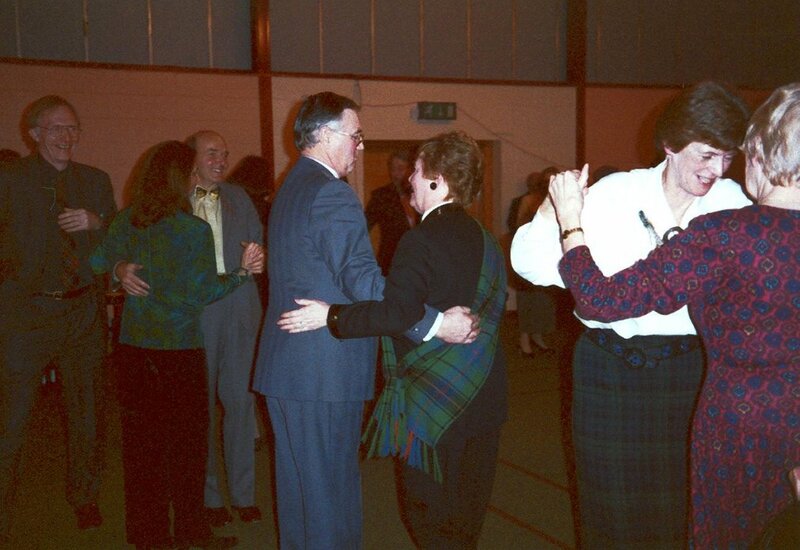 People from the village are: Michael Heaton (third from left), Barry Thompson dancing with Enid Jarvis (chairman of Friends, with the tartan sash) and Alison Bennett (secretary of Friends, second from right). 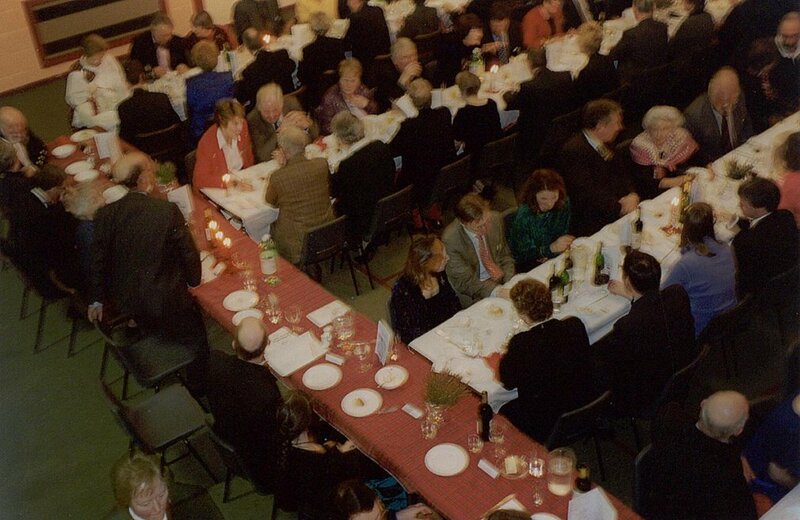 Burns Supper at Spratton Hall School in aid of Friends of St. Andrews Church. 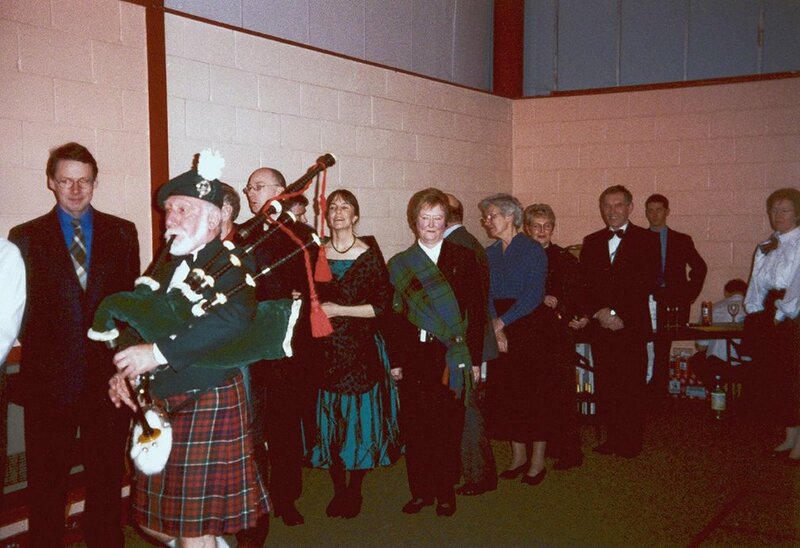 From the left are: David Bennett, Colin Headley the piper, Chris Frerk, Norma Pearson, Enid Jarvis (chairman of Friends, Mike and Sue Roberts, Hazel & Rev. Brian Lee, and one of Michael Benn's sons. Burns Supper at Spratton Hall School in aid of Friends of St. Andrews Church. 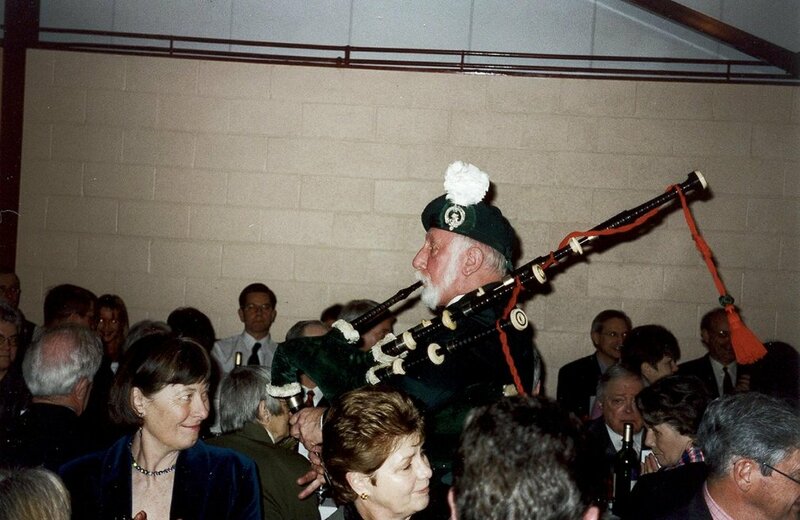 The piper Colin Headley, piping in the Haggis. Burns Supper at Spratton Hall School in aid of Friends of St. Andrews Church. 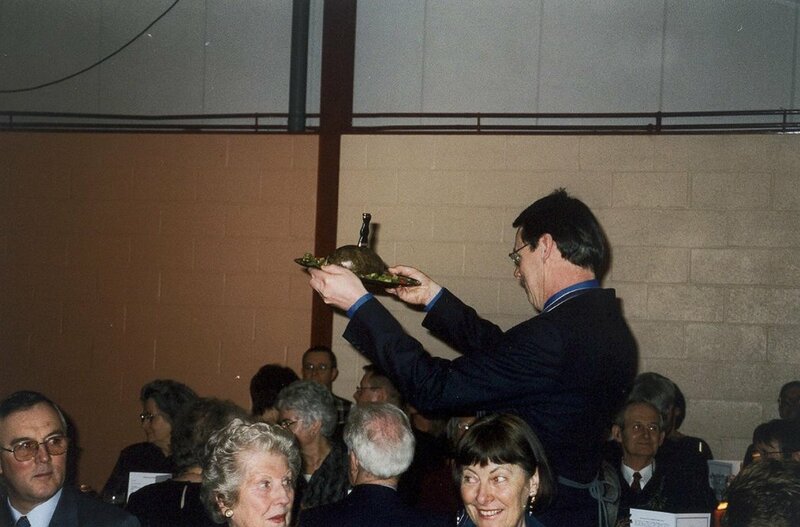 The 'top' table with Tom Scott in the background waiting to address the Haggis, Norma Pearson, Chris Frerk, who gave the speech to the immortal memory of Robert Burns, Enid Jarvis (chairman of Friends), Sue Roberts, Rev Brian and Hazel Lee. Burns Supper at Spratton Hall School in aid of Friends of St. Andrews Church. 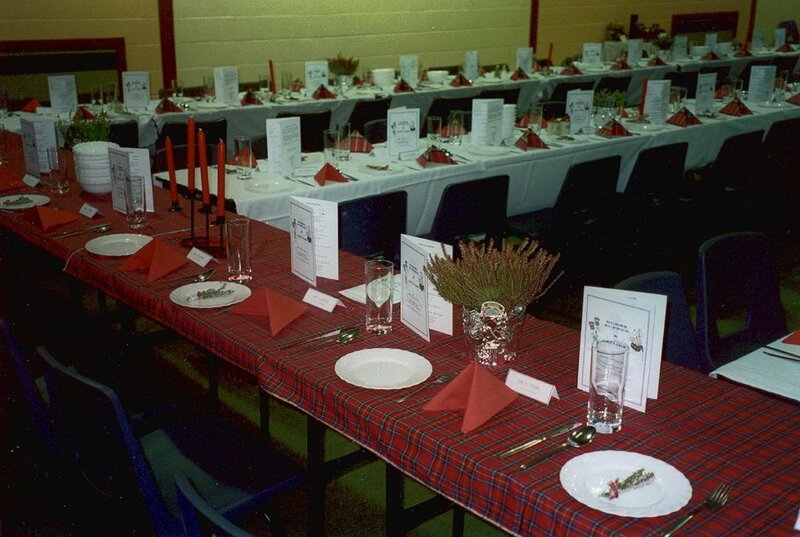 The photograph shows the top table with its tartan cloth, and all the place settings with heather sprigs for the lassies. Burns Supper at Spratton Hall School in aid of Friends of St. Andrews Church. 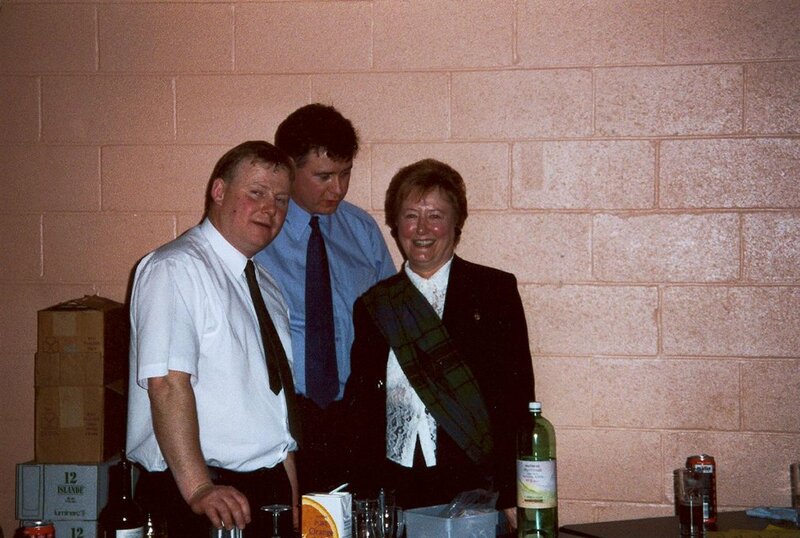 Enid Jarvis (chairman of Friends) on the right with her sons Philip (on the left) and Richard.